Homemade scrubs are one of the best ways of keeping your skin healthy at a very low cost. Making scrubs at home will affect your cost of caring a lot as you can make these scrubs easily with help of the ingredients present in your kitchen. 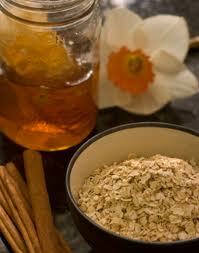 Oat meal scrub is one of the best homemade scrubs that you can make. Making this scrub hardly takes time; the process of making this scrub requires finely grounded oatmeal and 1-2 TBS of water. Mix well and apply it, this will scrub your skin well. Another homemade scrub that you can try is the banana scrub. For making this scrub you will need ¼th mashed banana, coarsely grounded oatmeal 1 TBS yogurt. Mix these well and after mixing it well apply it well on your face. By this you will surely get to keep your skin healthy. So try this homemade scrub at home to keep your skin healthy and good. How can you remove a tan effectively and naturally?